We’re less than two weeks away from the Galaxy S9 reveal, and the rumors continue to pick up steam. Now we’re hearing that Samsung might rip off the iPhone X’s Animoji feature (which Apple has been accused of stealing from a small Japan-based company). Of course, the Galaxy S9 Animoji can’t be exactly the same as what Apple offers, if this latest rumor is even true at all. Asian news outlet ETNews reports that Samsung is working on a feature it describes as a sort of 3D Emoji function, which is exactly what Apple’s Animoji are. According to an English translation of the article, the 3D Emoji feature turns the user’s facial expression in a photo into a 3D emoji that can then be texted to friends or family members. ETNews seems to suggest that there will be more to the Galaxy S9 Animoji feature, as it states that the 3D Emoji feature will be more advanced than the iPhone X’s Animojis. However, the article is unclear about exactly how Samsung’s version of the same feature will be more advanced. The Animojis on the iPhone X are created using the phone’s sophisticated front-facing camera, which is also what makes Face ID more advanced than facial recognition features on other smartphones. As a result, it’s natural to question just how advanced the Galaxy S9’s camera might end up being. We think it’s possible that the Galaxy S9 Animoji feature might end up being only on the S9 Plus, which ETNews said is expected to be the first of the Galaxy S family to sport a dual-lens camera on the back. We haven’t heard anything to suggest that Samsung is implementing 3D rather than 2D facial recognition in the Galaxy S9, although we have heard quite a lot about the advanced camera features that are expected to make an appearance in the smartphone. 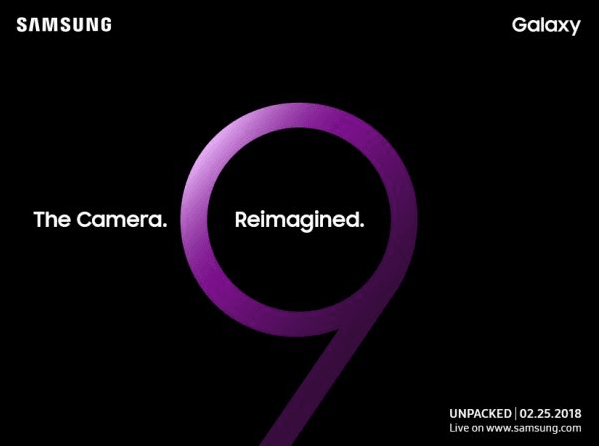 Whether Samsung will have any surprises left to showcase on the big reveal date remains to be seen. In addition to the rumored Galaxy S9 Animoji feature, ETNews also said that the phone could get stereo speakers on both the top and bottom. You may recall that the phone’s predecessor, the Galaxy S8, had speakers under the screen. The media outlet also rehashed a number of other features that have already been rumored. Samsung is expected to reveal the Galaxy S9 line-up on Feb. 25, but that still leaves plenty of time for additional leaks and rumors about the device.